Apple released two new TV ads for its iPad line Sunday evening, titled “Alive” and “Together.”Mark Gurman of 9to5Mac, who first noticed the ads, writes that they “appear to be of a much different style” than previous iPad ads. 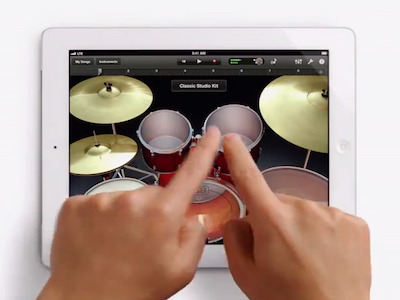 But other than that, like past iPad ads, there’s a white background and music, with hands jumping in from the frames to highlight apps. Apple’s response: Just show the iPad and the apps it can run.